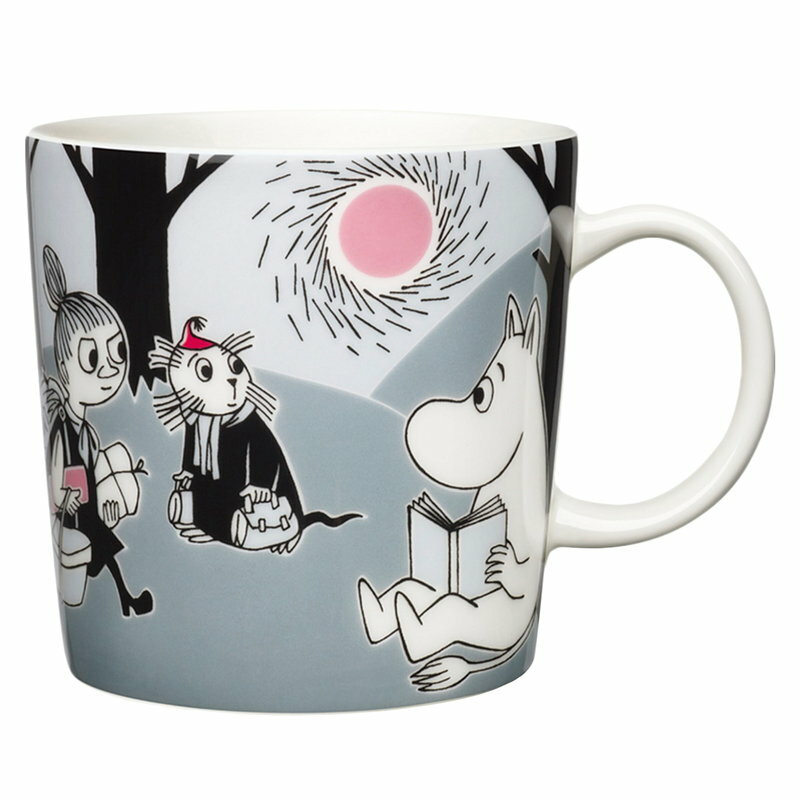 Adventure Move mug from Arabia’s beloved Moomin collection features a motif from Tove Jansson's story Moomintroll and the Comet from 1946. Moomintroll and the Comet is a story about a huge red star appearing in the sky of the peaceful Moominvalley, forcing all the valley’s dwellers to escape. The otherwise grey landscape is decorated with details in pink. 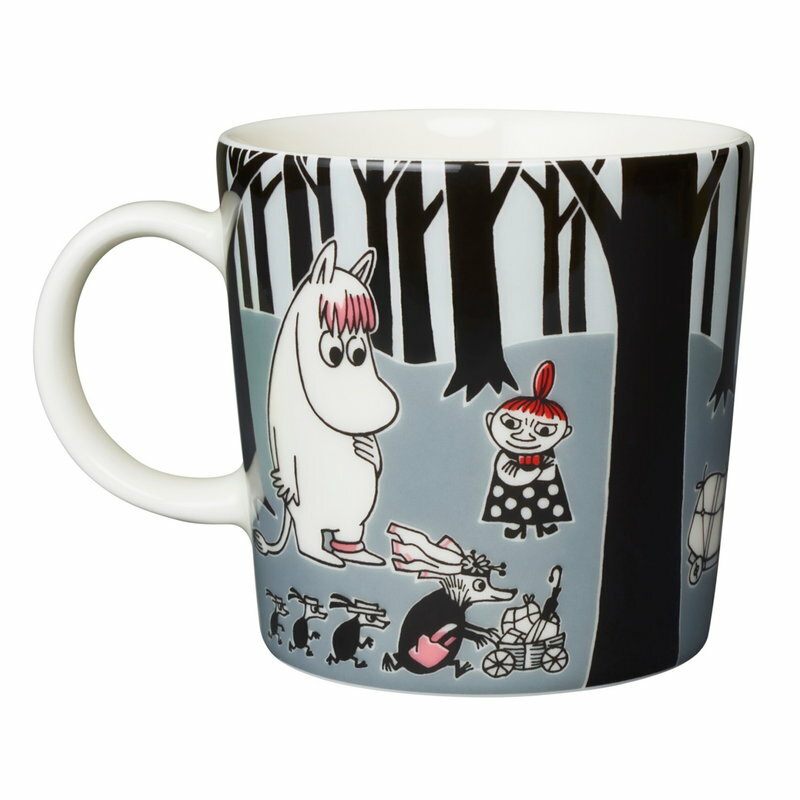 The ceramic Moomin mugs are great for serving tea, coffee as well as hot chocolate and will cheer up any table setting. First pieces of Arabia’s Moomin tableware came out already in the 1950s, and the large-scale production began in 1990. All the illustrations are done by Tove Slotte who draws inspiration from the original drawings by Tove Jansson. The form of the collection comes from Arabia’s timeless, ceramic Teema tableware designed by Kaj Franck.